President Trump swept into office in January of 2017 promising to drain the swamp, dismantle Washington’s regulatory state and repeal signature parts of the Obama legacy. More than a year into his presidency, the results of those efforts aren’t yet clear. But there sure has been a lot of draining, dismantling, and repealing of the marriages of those within Trump’s inner circle. Rudy Giuliani joined the club Wednesday. The former New York City Mayor, and one of Trump’s earliest supporters, told “Page Six” that he and his wife Judith are planning to divorce after 15 years. 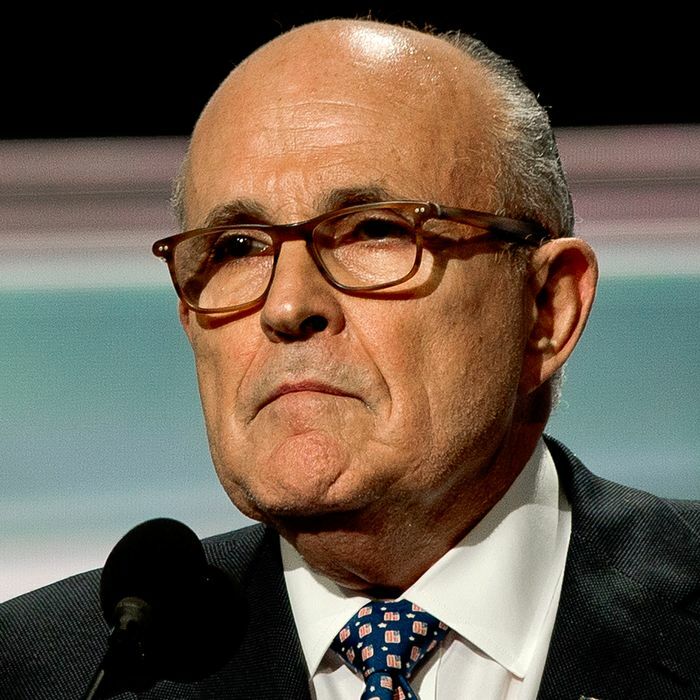 “In these divorce situations, you cannot place blame, it is 50/50, there are problems on both sides,” said Giuliani, whose loyalty to Trump nearly won him a nomination to the Supreme Court or appointment as Secretary of State. The end of Giuliani’s fairy-tale third marriage follows news of Donald Trump Jr.’s impending divorce, which broke last month in “Page Six”. The problems with Trump Jr. and his wife Vanessa “have been there for a long time,” one source told the tabloid, but they’ve gotten worse since Trump was elected. Trump Jr., who’s now running the Trump Organization with his brother Eric, is “never there,” the source told “Page Six”. Those close to him have also become concerned about his erratic tweets, and his infidelity probably didn’t help his cause. A week before the revelations about Trump Jr.’s marital strife came news that Fox News host Jesse Watters was splitting with his wife. Three days before the Daily News reported that Watters cheated with a 25-year-old associate producer, the host dined at the White House with Trump. If being close to Trump spells bad news for a marriage, then White House social-media director Dan Scavino never stood a chance. In January, his wife reportedly filed for divorce and Scavino, often described Trump’s “mini-me,” marked the occasion by tweeting photos of his boss and Ronald Reagan eating burgers. The good news for Giuliani, Trump Jr., Watters, and Scavino is that a divorce filing does not necessarily mean the end. Former White House communications director Anthony Scaramucci knows that. During his whirlwind 11 days on the job, his wife reportedly filed for divorce because of his “naked political ambition,” “Page Six” reported. Three days later he was fired and five months after that they called off the divorce. If the martial problems of those close to Trump isn’t proof enough of his toxicity, then the ability to reconcile after being pushed away from him is. Of course, not every relationship exposed to the inferno of Trump’s White House has melted away. Ben Carson and his wife Candy are still married, even after he blamed her for the purchase of a $31,000 dining-room table with taxpayer money. Former Trump campaign communications director Jason Miller and his wife Kelly are still married (at least they were as of last summer), even after he fathered a child with former Trump transition adviser A.J. Delgado. And of course, Donald Trump himself is still with his wife Melania, despite the at least 19 reasons he’s given her to change that.